Books highlighting the often overlooked contribution of women in ancient Egypt are always welcome, and here Barbara Watterson surveys the lives of both ordinary women and those that rose to power during the Pharaonic period. Egyptian women enjoyed far more freedom than women of other ancient cultures, being equal to men in law, and in some cases holding important positions in society, but as Watterson points out, the main occupation for most women was still marriage, running a home and bearing children. She explores daily life, love and marriage, health and women’s standing in society, using evidence from ancient literature as well as art and texts, before recounting the lives of female monarchs (including Sobekneferu, Hatshepsut and Cleopatra VII), some more prominent of the women who held title ‘Great Royal Wife’ (including Ahmose- Nefertari and Tiy) and ‘Divine Wife of Amun’, (including Shepenwepet I and Amenirdis I). The author concludes that, given the freedoms and positions of power available to women, it is surprising how few there are at all sections of society. There is a comprehensive bibliography but the quality of the colour photographs is disappointing; several have the old drab look of a 1960’s holiday postcard while some of the tomb scenes look blurred. 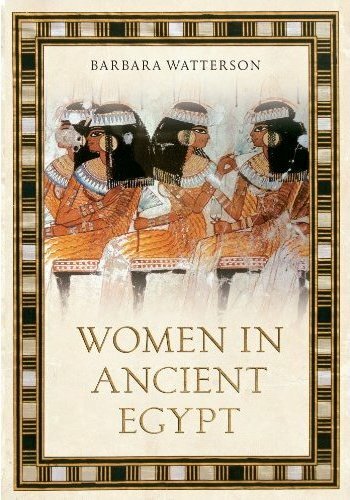 Overall this is a good introduction to the lives of ancient Egyptian women. A genizah is a repository for sacred writings and in 1896 Rabbi Solomon Schechter scaled a ladder and entered an attic of the Ben Ezra Synagogue in Cairo. What he discovered there was an astonishing repository of long forgotten manuscripts and papers, some dating back almost a thousand years. Ripped Torah scrolls, faded Talmud pages, ancient letters and business documents; love letters and pages from long forgotten texts on archaic wisdom. All had been deposited for safety in the Genizah and then lost for generations until they were rediscovered only last century. Still being examined by scholars today, these 300,000 documents shed new light on mediaeval Cairo and the lives of the Jewish community that existed in the narrow streets of the Old City alongside their Arab neighbours. Rabbi Mark Glickman’s new book examines this discovery and its subsequent examination, over the last hundred years, by scholars from many lands, showing how dedication and science have slowly revealed the lives of people who lived in Cairo hundreds of years ago. If you want something different from pharaohs and pyramids then this publication marks a clear change. 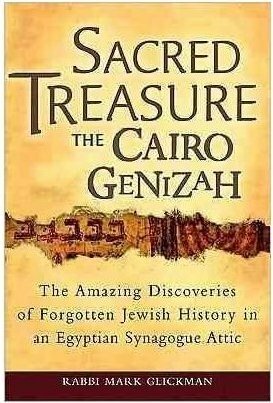 Glickman’s enthusiasm for his subject shines through the pages making this a page-turner of an account of a discovery which is perhaps as important to historians as the discovery of the Dead Sea Scrolls or Carter’s discovery of the tomb of Tutankhamun. 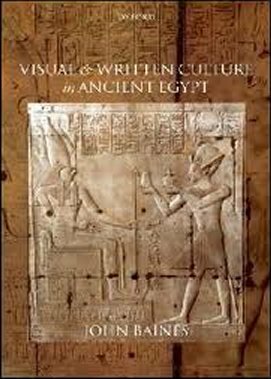 This volume collects together a series of studies and essays, published across many different journals and publications, with previously unpublished writings and new material, to produce an in-depth exploration of the origins, role and development of writing and representational art in ancient Egyptian society. The first section concentrates on written culture with questions discussed include the paradox of written language as a stimulus for change, yet also as an institution conducive to stability: after all, the system of writing changed only a few times over the long timespan of Egyptian history. A discussion about levels of literacy suggests that at the most, only 1% of the population would have been able to read and write in the Old Kingdom, compared to an estimated 10% or more in the Graeco-Roman era. But even for those who were literate, the way that ancient scripts were arranged on a writing surface did not make them easy to read, and it was usual for more important texts to be memorised and spoken, rather than read, which highlights an important oral component to ancient Egyptian literacy. The second section deals with visual culture including a discussion of Schafer’s analysis of non-perspective pictorial representation with alternative ideas, and the classification and concepts of colour, with a later postscript inserted by the author to take account of more recent research. Other topics covered include communication and display, and the status and purpose of Egyptian art, with an extensive bibliography. The book is firmly aimed at academics but will also be of interest to anyone wanting a more in-depth exploration of Egyptian written and artistic developments, although the high price tag means it’s more likely to be found in a library reference section than on a bedside table. The story of Antony and Cleopatra and their epic battle with Rome is well known to us, but this new book tells us what the Egyptians themselves thought of the conflict. The strength of the publication is that it not only recounts the story, but that it also gives us a new perspective of the conflict by including classical and contemporary accounts. The research carried out by the authors is impressive and almost everyone will learn something new to them in this very readable and informative account. 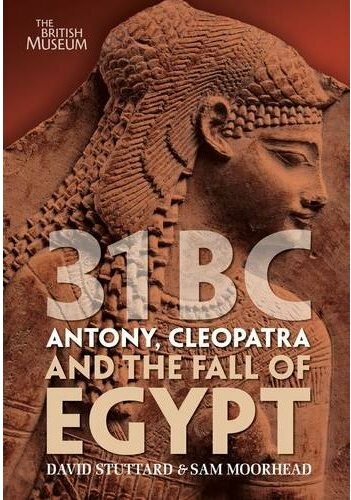 Most of the book is concerned with the historical background to the conflict with Rome, examining the character and motives of Cleopatra and Caesar before moving on to the volatile relationship between Antony and Cleopatra. These chapters are followed by an examination of Octavian’s relationship with his rival Antony, events which resulted in the battle of Actium itself. This epic sea battle is described in some detail, giving the reader a vivid picture of the ferocity of the engagement and the tactics employed by both sides. The authors have made every attempt to include images of the characters in the story, relying, in many instances, on images to be found on coinage where no others can be found. Yet somehow the ending of the book leaves us wanting more and seems a little incomplete. The true likeness of Cleopatra to this day still evades us, and so it is surprising that there is no image, or indeed mention, of the ‘bust of Cleopatra’s likeness’ made for her daughter, Cleopatra Selene’s, private apartments when she was Queen of Juba II, in Mauretania. A bust which was discovered in the ruins of the palace, and is believed by many to be a true likeness of Cleopatra, is not even mentioned. It is also a little disappointing that there is no photograph of the children of Antony and Cleopatra, Cleopatra Selene and Alexander Helios. The ‘pair-statue’ of these children, in Cairo Museum, has been know to Egyptologists for many years and has recently featured in the popular press where ‘its discovery’ was ‘revealed’ to the general public. The inclusion of a photograph of this statue would have been most useful. In addition, although the authors mention the grandchild of Cleopatra VII, Ptolemy of Mauretania, the last of the Ptolemaic line, they do not give the reason why Caligula had him murdered, which is a little disappointing in such an otherwise highly informative and well researched volume. Hopefully such omissions will be corrected in a well deserved second edition. In short I would recommend this book to anyone with an interest in the struggle between Egypt and Rome, the final years of Egyptian independence, and the end of the Ptolemaic line. 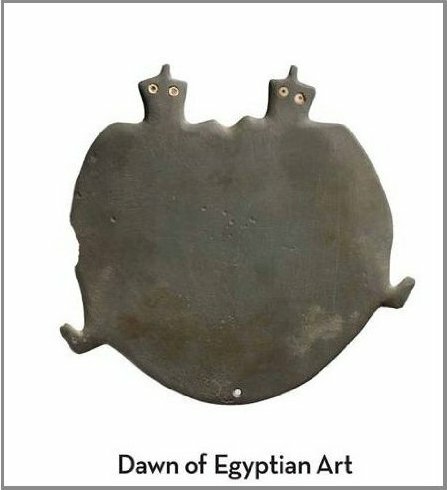 Designed to complement the exhibition at the Metropolitan Museum of Art in New York, this is quite simply one of the most impressive publications on early Egyptian art I have seen. Beautifully illustrated with over 180 photographs of objects from the exhibition and with an eye-catching cover it looks and feels like a ‘coffee table’ book but the text is both readable and highly informative. Concentrating on only the art of the Predynastic and Archaic periods of Egyptian history (4000- 2650 BC) allows the author to give a full and detailed account of the development of Egyptian art and society over this often overlooked period. A very impressive book, with an authorative text and some 246 excellent photographs spread over 288 pages. If I had to choose just one book on Predynastic art, then it would be this one.